In the beginning of the 2017/2018 school year a change was made to the NRHS student handbook on the use of electronic devices. 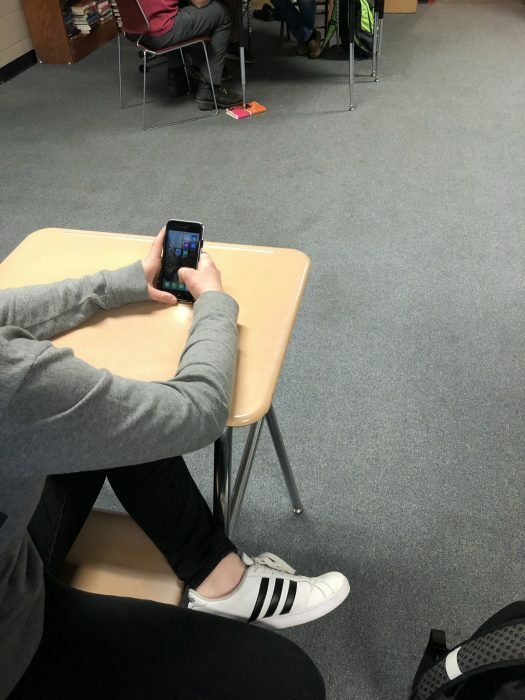 Due to a significant uptake in violations to the previous policy, and additional policies being violated in connection with cell phone usage, administrators Mr.Ulrich and Mr.Hoiriis decided it was time for a change. “From the school year of 2016/2017, there were a total of 11 picture-taking offenses, two of which were teacher’s behinds and nine were students, and 28 cell phone policy violations,” said Mr. Ulrich. Staff expressed multiple concerns with the usage of cellphones in class, as well. Reactions to the confiscation of cell phones previous years became extreme to the point where students would rather be suspended than lose their cell phone for the school day. This led administrators to the conclusion that there was more to the issue: cell phone addiction. The prior policy was significantly less strict and didn’t result in multiple day confiscations. Instead, in the past the device was taken away from the student and the parent or guardian had to pick it up. It became apparent that parents were punished more than the child was, as they had to take time out of their lives to get the student’s phone back. With the new policy, parent pick up is only necessary if administrators think it is appropriate. The consequence for the first violation now is loss of the device for the day the violation is made and the whole next school day. Upon a second violation, the device is confiscated for five days, and third, confiscation and loss of device is for ten days with possible detention or ISS. What Mr. Ulrich and Mr. Hoiriis want NRHS student body to understand most with this new change is that they are trying to benefit students by teaching them how to interact and function in the real world, and how to be respectful and responsible with cell phone usage.